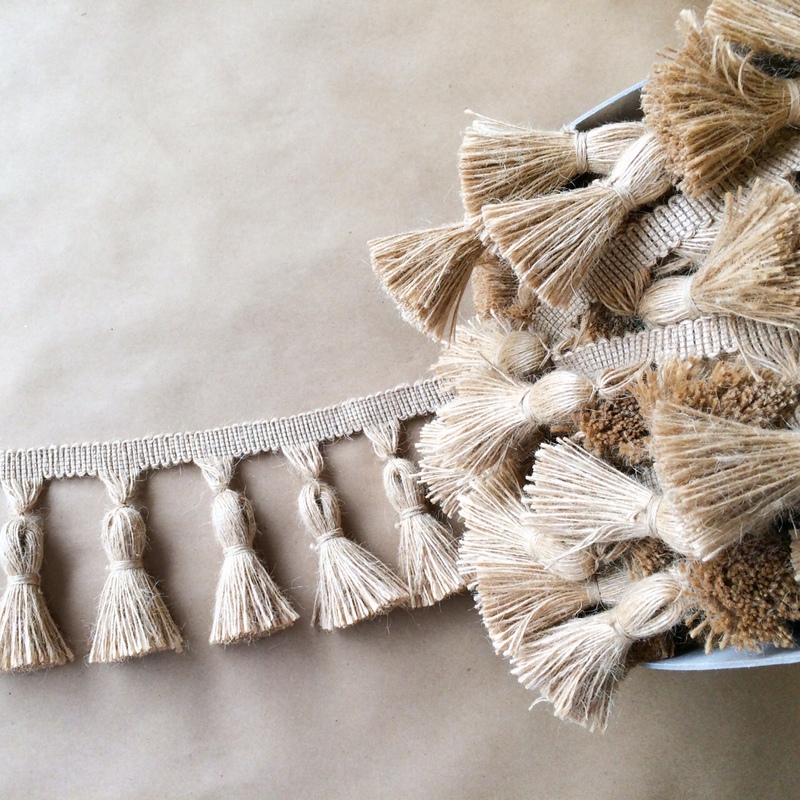 This is a Chunky & Big 4.5 inch Jute Tassel Fringe. 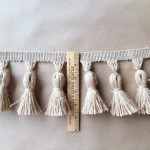 A fresh and modern remake, the tassels on this fringe are spread apart a little more and are large. 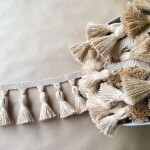 You can use this fringe as tassel fringe, or cut the tassels off for pillow corner tassels; or anything else you can create. This is sold by the yard (36 inches) choose yardage needed from the quantity box. 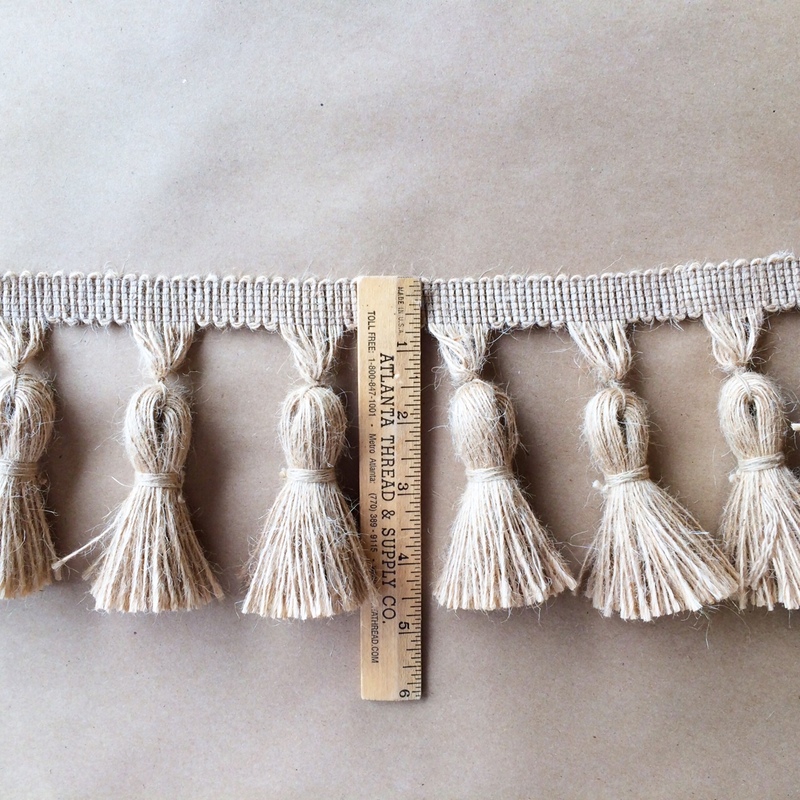 All tassel fringes are tied to order, please allow 2-4 weeks ship time.